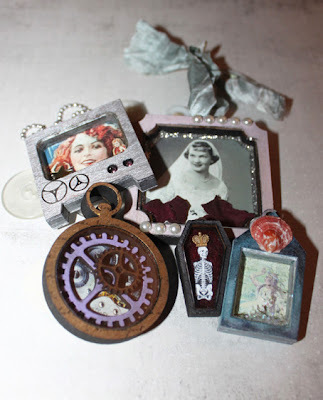 Introducing, Shadow Box Shrine Kits by Coffee Break Design! A new line in addition to our other Shrine Kits. 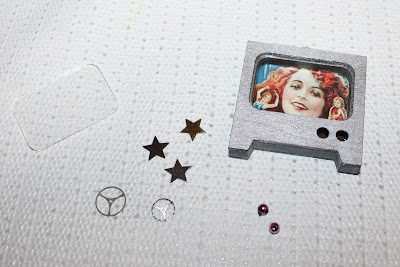 These kits are special because then come with a clear acrylic front that easily mounts to the top frame. 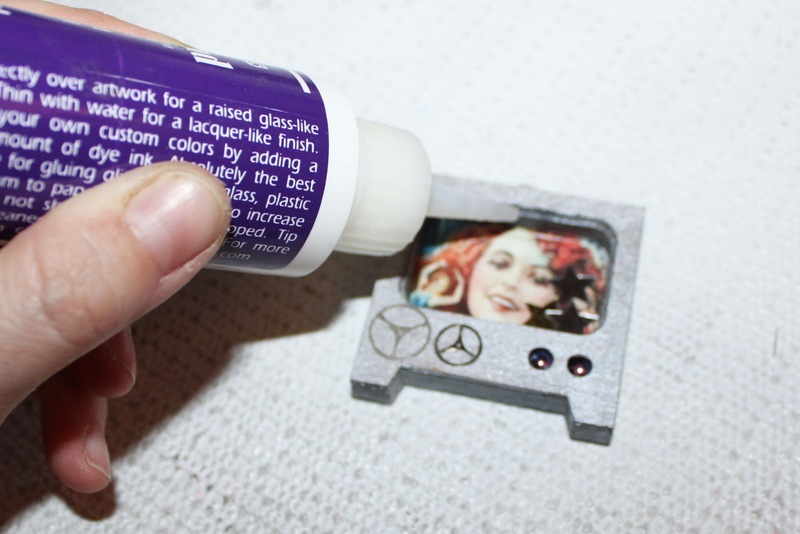 This means you can add your art in addition to loose objects if desired. 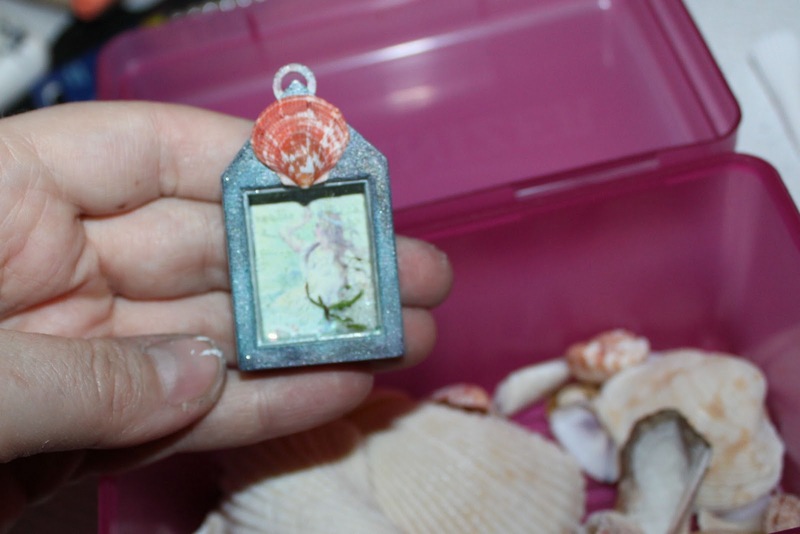 You can add glitter, beads, watch parts, sequins, shells, sand, and so much more. Or you can just use them to protect your lovely work. They are even cooler in person. The acrylic is so clear that the pictures don't really do them justice. You have to try some Shadow Box Shrine Kits for yourself! Below I will show you what I did with a few of mine. While these were fun to design, they were even more fun to play with. I did the pieces below in just under 2 hours which included time for photos! Here is a small sampling! There are 27 different Shadow Box Shrine Kits, each in 3 different sizes! 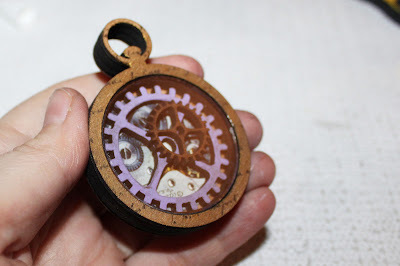 They are available with our without a charm loop. 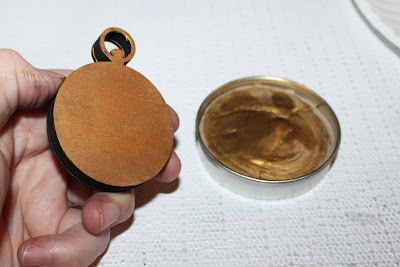 Great for making necklaces, ornaments, charms, pins, and so much more. 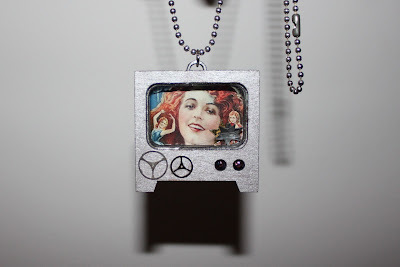 I started by assembling a medium Retro TV Shrine Kit (one of my favorites!). 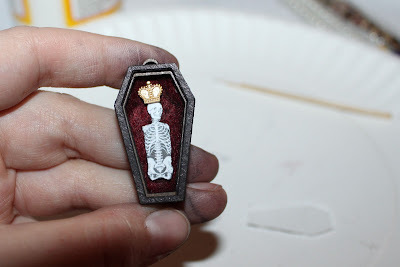 They are easily assembled with just a bit of glue (I used Mod Podge) and they come with instructions though you could probably figure it out on your own. It's super easy. 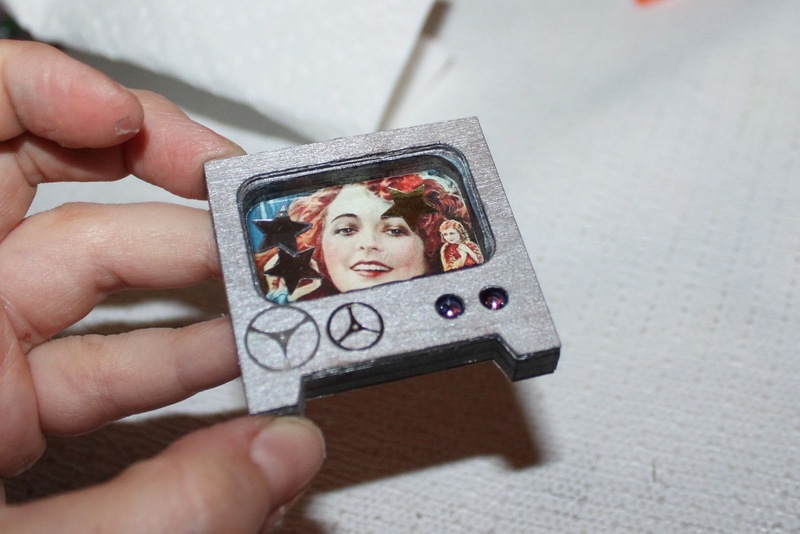 First I painted my TV with some silver acrylic paint. 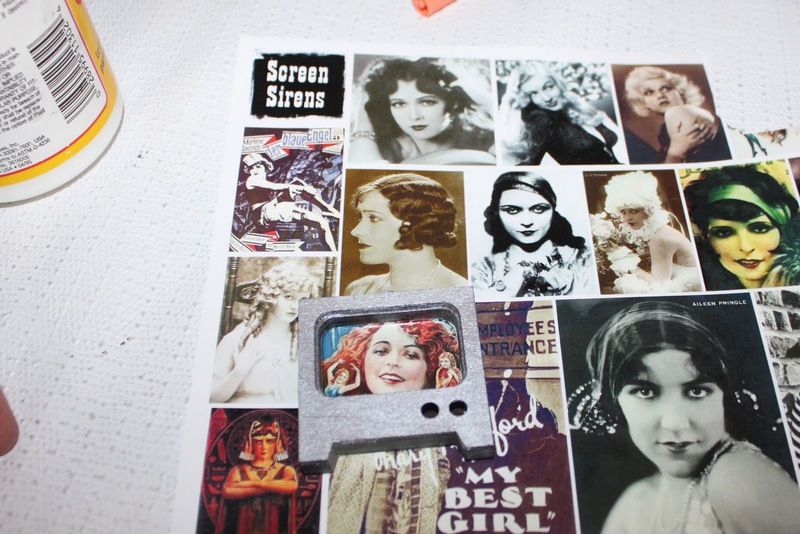 Our Screen Sirens Collage Sheet is perfect for this kit! I cut out an image and attached it using Mod Podge. Tip: Prior to assembling your Kit, use the middle piece as a template to cut out your image. Lay it over the image and trace it. 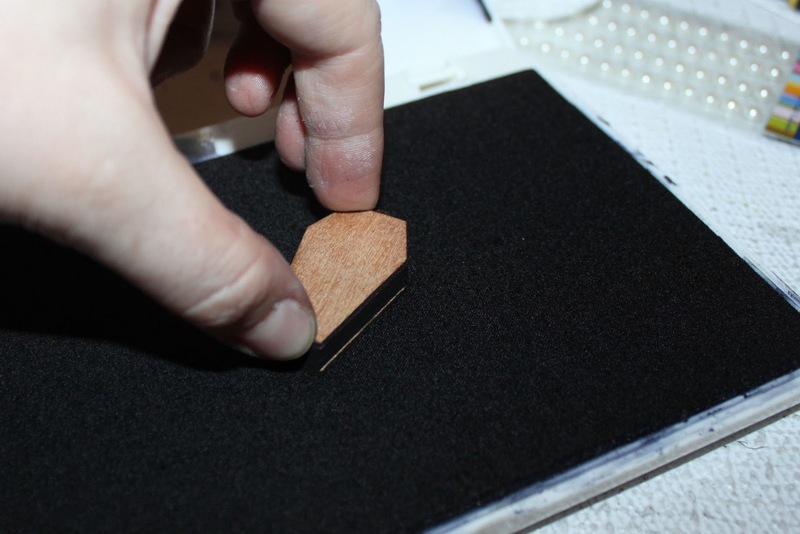 Another option is to roughly cut it out and glue it to the back piece before attaching the middle piece. I planned to paint the inside of the kit so gluing the image in after was a better option for me. Next I pulled out a few goodies to attach. Some watch parts, sequins, and small beads to glue in as the "knobs". The star sequins are not attached. 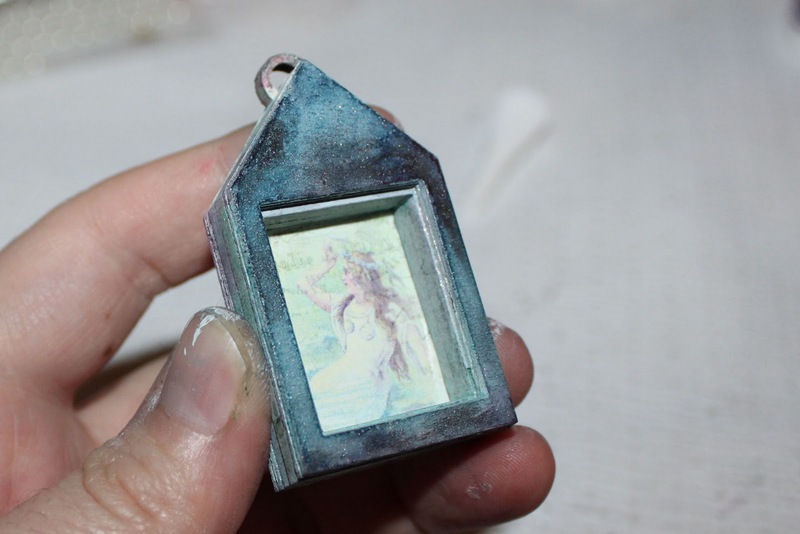 The will more around freely within the shadow box once I attach my clear acrylic front. Remove the protective paper from the included acrylic front. 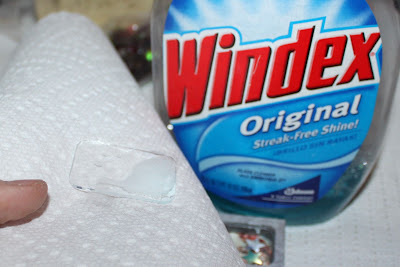 If desired, clean with some glass cleaner prior to attaching. My piece ended up covered in glitter so it was necessary :). 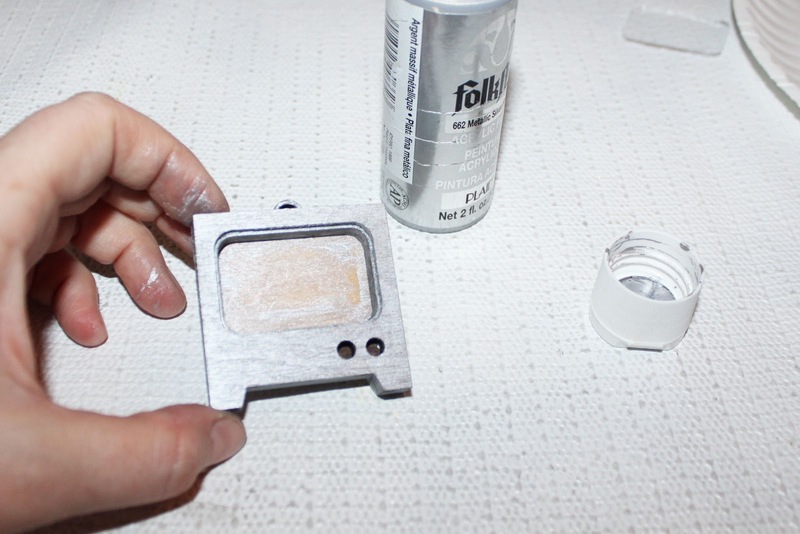 To attach the acrylic, add a small amount of clear drying glue to the small ledge on the front of the kit. I used a small amount of Diamond Glaze. If you squeeze too much out, blot with a paper towel before attaching your acrylic front. Drop in the acrylic piece and you are all set! Tip: If you have added loose objects within your shrine, resist the urge to shake it up until the glue has dried. This will prevent any of the loose object from sticking to the glue before it has dried! I wanted a necklace so I added a 7mm jump ring and some silver ball chain to complete the piece. The TV also makes a wonderful pin or brooch. 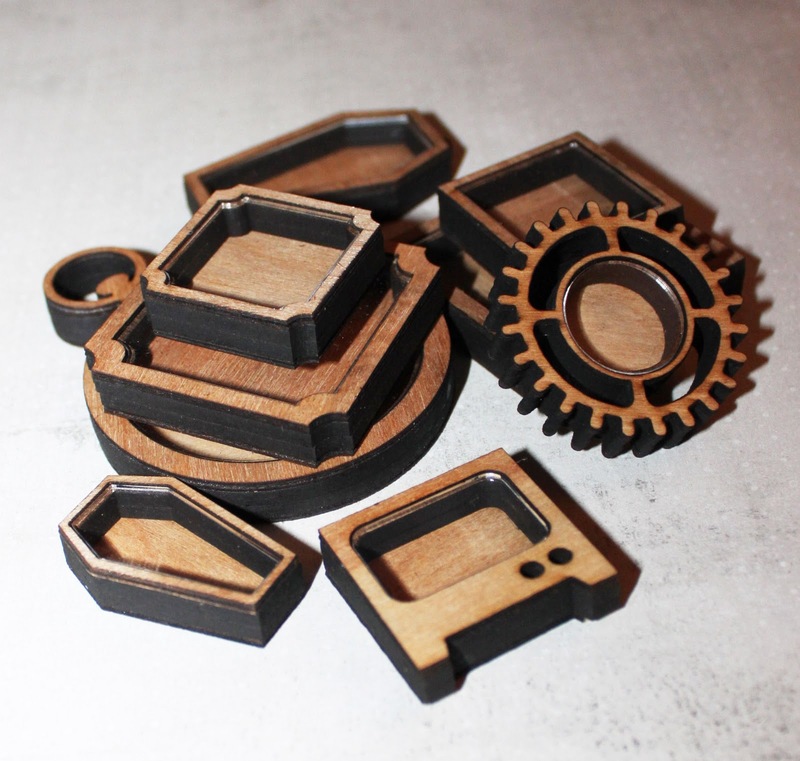 You can purchase any of the Shadow Box Shrine Kits without a charm loop for this purpose. 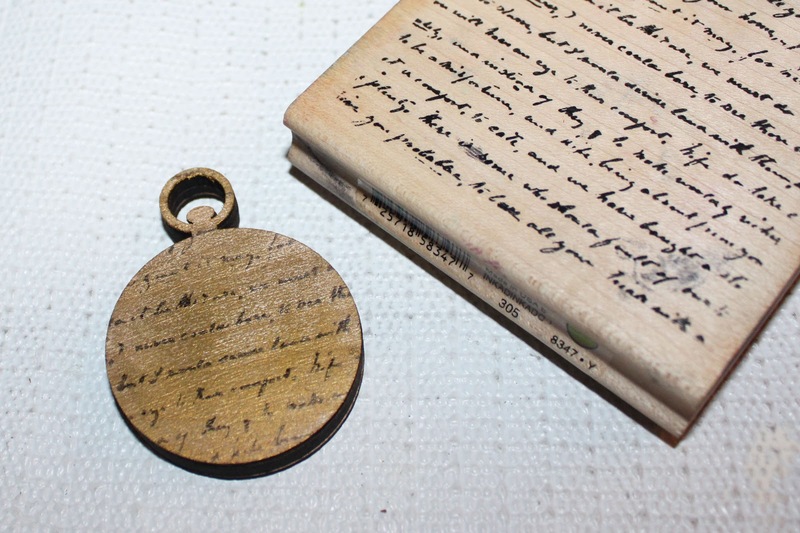 For my next piece I started with a medium Pocket Watch Kit. 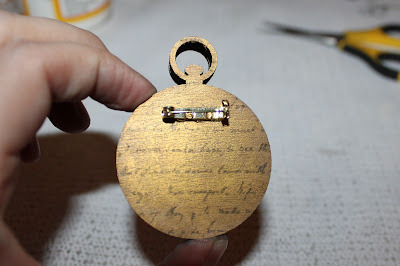 After assembling I colored it using Inca Gold Gilders Paste. I just brushed it on with my finger. Next I stamped it with some archival black ink. 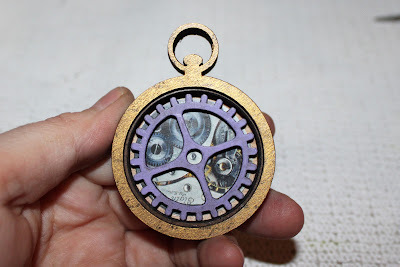 I layered the inside with the watch movement image from the Steampunk Parts Collage Sheet, and then added a Masonite Gear that was colored with Violet Gilders Paste. I added a Mini Masonite Gear (unpainted), and then attached my acrylic in the same way I did on the first piece. The Shadow Box Shrine Kits are the perfect depth for adding the two Masonite Gears. 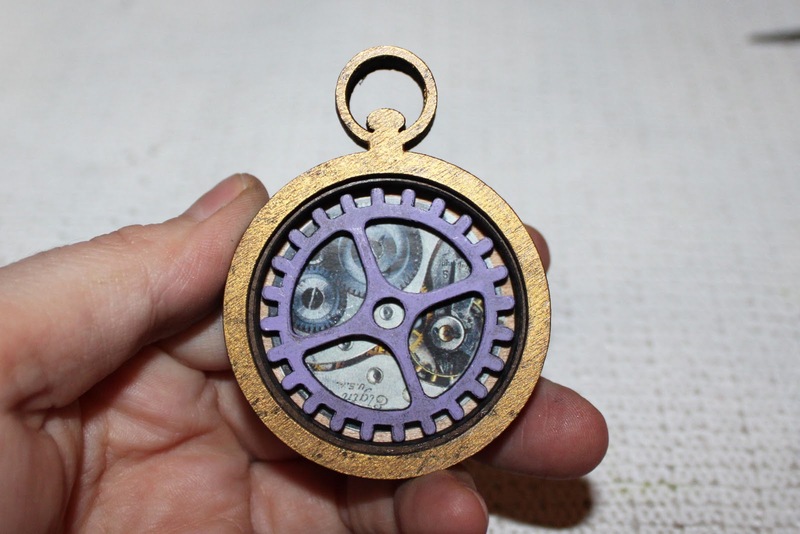 I love how it looks like an open face pocket watch! Finally I added a brass pin back using E6000. 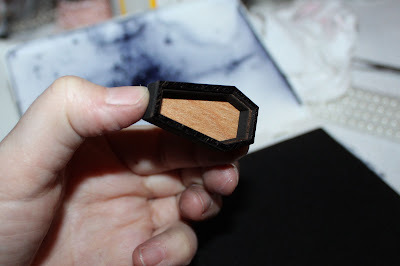 For this piece I stared with a small Coffin Kit. To color it I simply rubbed it around my archival ink pad! Easy! 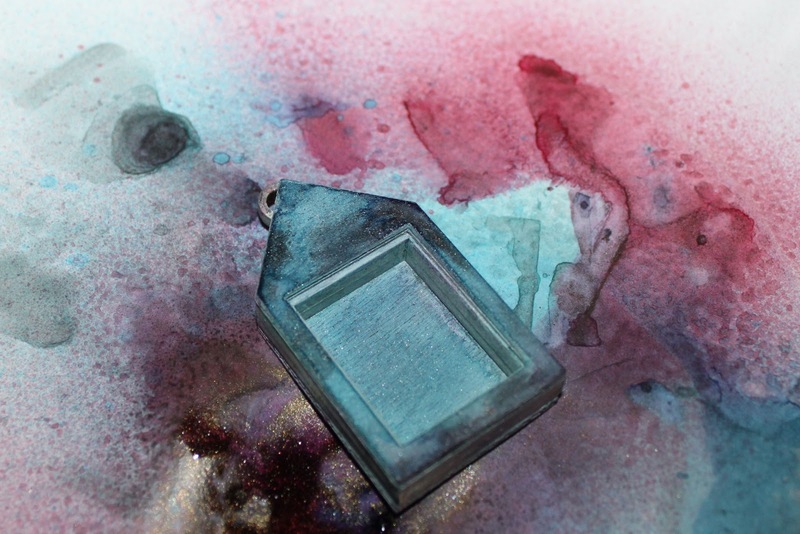 You can allow the ink to air dry or blast it with a heat gun. 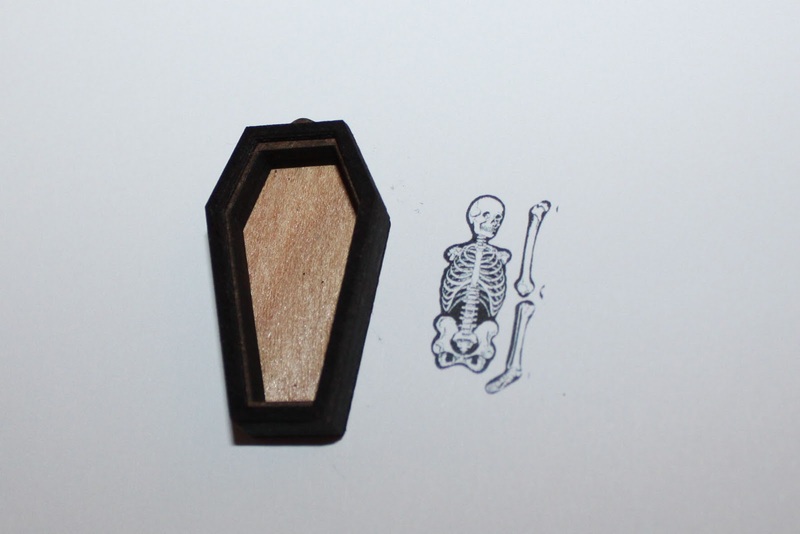 I shrunk down the skeleton image from the Skeleton Doll Collage Sheet, and printed him out on card stock. 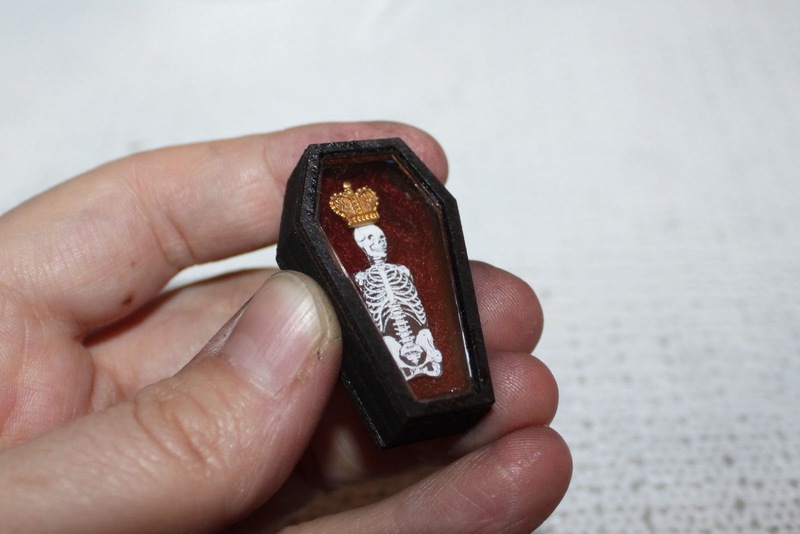 I mounted some red felt to the back of the coffin using Mod Podge (it doesn't have to be cut perfectly since you can kind of squish it in) and then using a bit of Mod Podge mounted my cut out skeleton and a Tiny Brass Crown to the inside. Attach the acrylic, add a jump ring, and done! For a fun 3-D look you can mount your cut-out on a foam mounting dot. 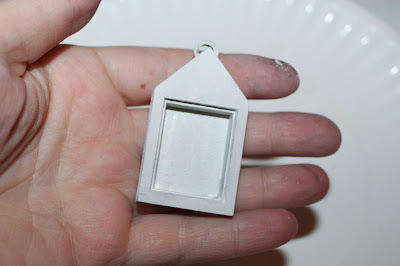 For this piece I started with a large Square with Scalloped Edges Kit. 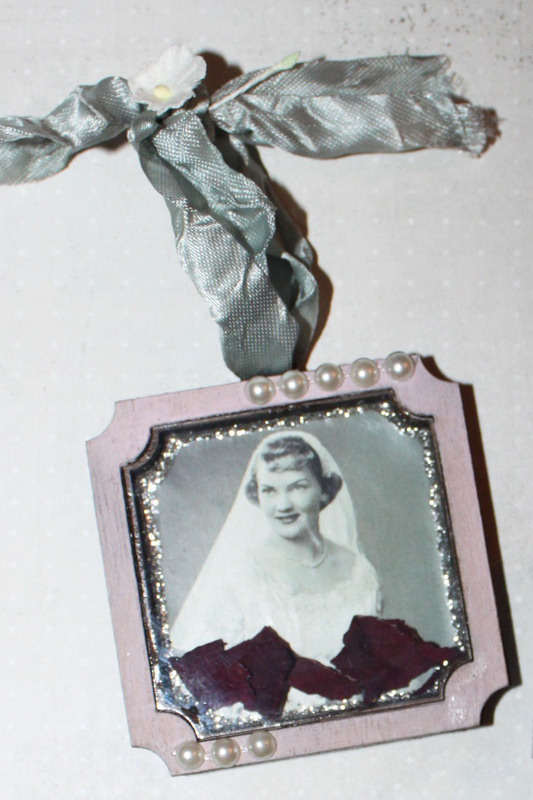 I painted the frame a dusty rose with acrylic paint and then glued in an image of my grandmother on her wedding day. Isn't she beautiful! To finish the image I edged it with Silver Stickles. Make sure you let the Stickles dry fully before adding any loose objects and/or attaching the clear acrylic front! To finish the piece I included some loose dried rose petals from my grandmother's services and then attached the acrylic front. Finally I attached some adhesive pearls to the frame and added a silk ribbon through the charm loop for hanging. 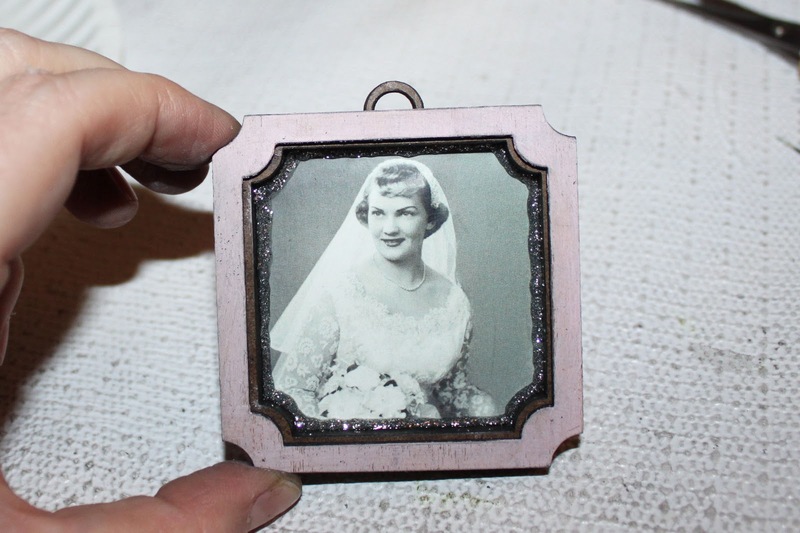 I now have a super sweet and special ornament keepsake. For my last piece I had something of a beach house in mind. I started with a medium House Shadow Box Shrine Kit and quickly painted it with white acrylic paint. I sprayed the painted house with several shades of Tattered Angels Glimmer Mist. 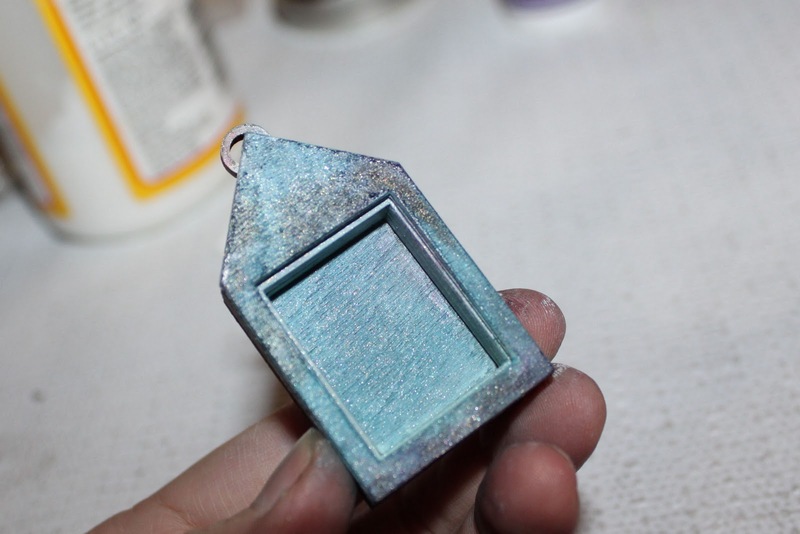 I wanted a "blotchy" look to mimic water stains so I purposely sprayed it on thick and only in certain areas, blasting it with my heat gun to give it a water color, blotchy look. I did several layers until I was happy. The Tattered Angels Glimmer Mists adhered quite nicely to the painted shrine. And just look at that lovely shimmer! Next I added the mermaid image from the Sand and Sea Squares Collage Sheet. Fabulous Tutorial Kristin! And such great examples of the New Coffee Break Design Products! Love the coffins and the Houses have always been favorites of mine! So cool! Love, Love, Love the new shrine kits. First thought that came to mind, can I find the picture of my parents standing in front of thier brand new Silvertone TV in the very early 50's, scan and reduce it and fit it in the retro TV. I love the new shrine kits. I look forward to playing with them soon. 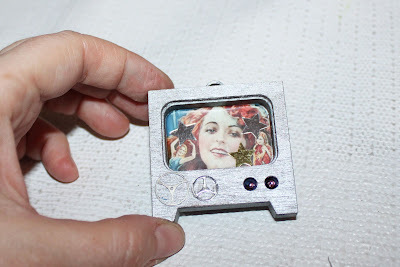 I'm thinking that tiny tv. needs a Lucille Ball image. Or Lone Ranger. Or Sky King. OMG the possibilities are limitless. Thank you for the tutorials. You are an inspiration, woman! Your pieces are gorgeous. I totally love 'em all, though the TV and Steampunk are m favorites! thanks so much for these wonderful ideas--esp. the tv. just to pretty..all of them!!!! I love these shrine kits! Thanks so much for sharing your great projects, I love them all. I love these shrine kits! It was hard to choose, but I was drawn to the retro tv first, so I would have to say that's my favorite! I really like the round, house, and Gothic styles. What a fun product. See you on Facebook. great tutorial. i especially like the skeleton.